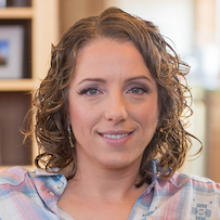 I am Jen Lampton, and I am one of the Co-Founders behind Backdrop CMS. I have been actively building websites with Open-Source software since 2006. I maintains several Drupal modules as well as those I'm working on for Backdrop CMS, and I contribute issues, pull-requests, and patches to many projects as it relates to my client work. My primary focus is making things easier to use ("usability") and easier to learn ("learnability"). In the fight to make things easier to learn, I spent almost 2 years as the Twig "initiative" lead for Drupal 8. I was privilaged to have the pleasure of wrangling a ton of very awesome contributors to get the modern template engine into Drupal core. I'm also an active member of the Drupal community. Since 2007 I have been one of the lead organizers for the largest free Drupal event in the world, the Bay Area Drupal Camp (also know as BADCamp). I was also on the organizing committee for the last independently-organized DrupalCon (Before the Drupal Association took on the brunt of the logistics work) in San Francisco back in 2010. I rely on my experience managing fantastic contributors and open source communities, and I hope to apply those skills here in the Backdrop world as well.